This was a blast.My favorite part was our "guide". He was helpful without leading. Know that these puzzles are difficult but engaging and doable. So much fun. We'll be back. 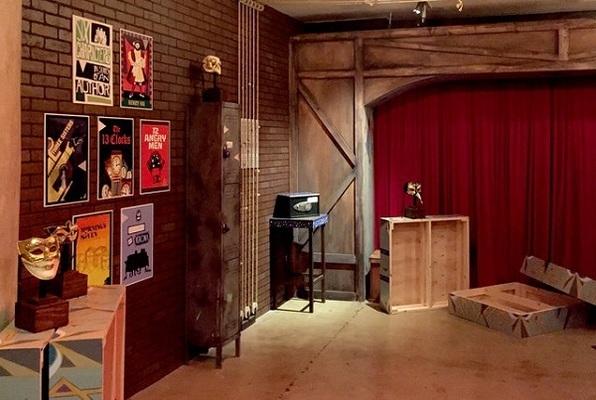 Reviews of escape game "The Theatre"
For 8 out of 10 people in my group, this was our first-ever Escape Room, and boy did we love it. We entered The Theatre (and escaped! ), and it was such a blast, we wanted to do a second escape room immediately after completing the first. Definitely will be back! Love this place! I've done The Theatre (which we escaped) and The Cavern (which we didn't). They were both so detailed and fun and accommodated our group of 10. First time doing an Escape Room ever, and our group of 12 had the best time! We did the "Theatre" game and finished in 38 minutes, which we were told is really excellent. Communication is so important, so I'd recommend getting a group of people you know to fill that particular room -- trying to communicate well with strangers would've been much more challenging. We are looking forward to doing another one soon. Also, our "stage manager" (the room's host) helped make the experience fun. She had her poker face on during the game, but during our recap afterwards was personable, energetic, and had been so observant about the details of how we solved the riddles. RECOMMEND!